"Die Entfuehrung aus dem Serail" is an opera Singspiel. The German libretto is by Christoph Friedrich Bretzner with adaptations by Gottlieb Stephanie. 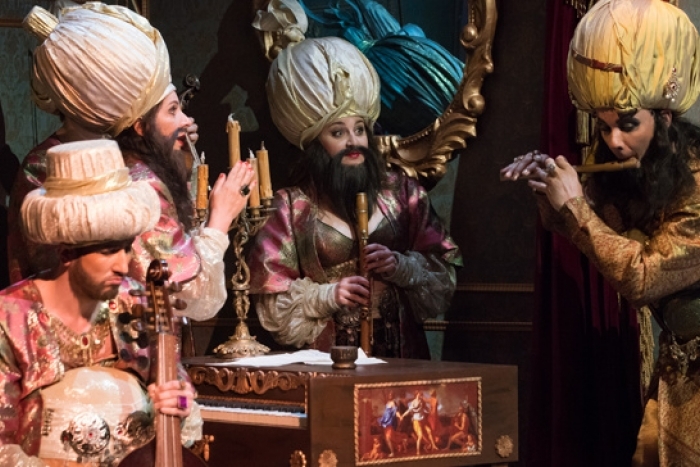 The plot concerns the attempt of the hero Belmonte, assisted by his servant, to rescue his beloved Konstanze from the seraglio of Pasha Selim. The work premiered on 16 July 1782 at the Vienna Burgtheater, with the composer conducting.